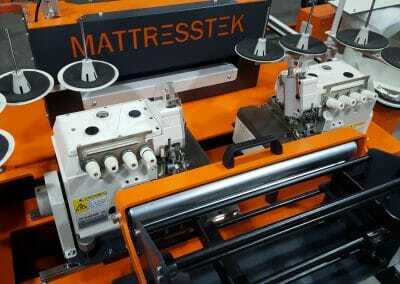 Using two inline overlocking sewing heads this machine can overlock a 40mtr border in under a minute. 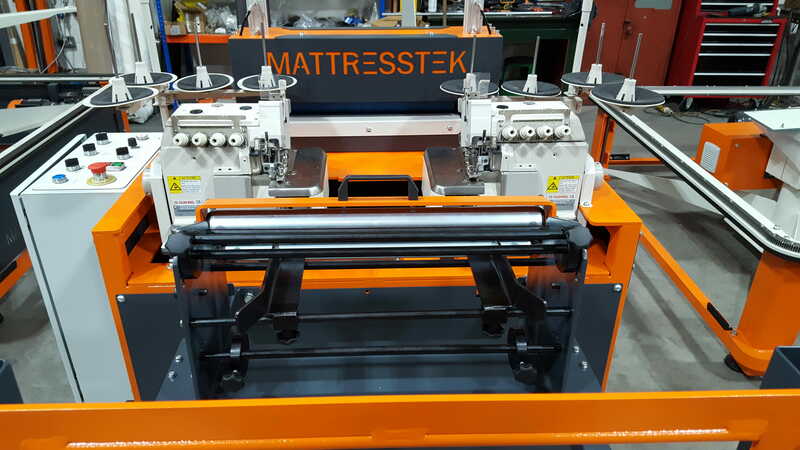 With High speed, high loft, heavy duty sewing heads and material runout sensors and a rewind unit that creates very tight rolls. 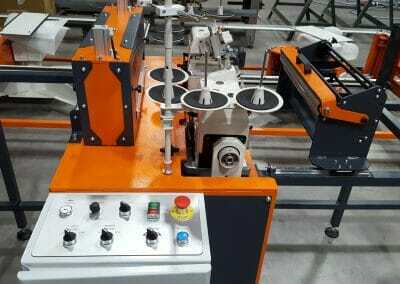 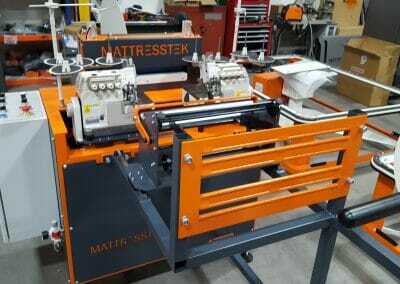 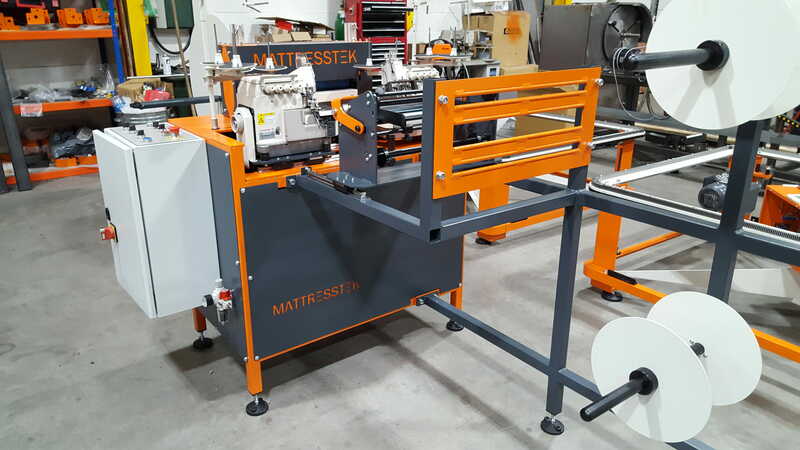 This machine is an asset in any mattress manufacturing operation. 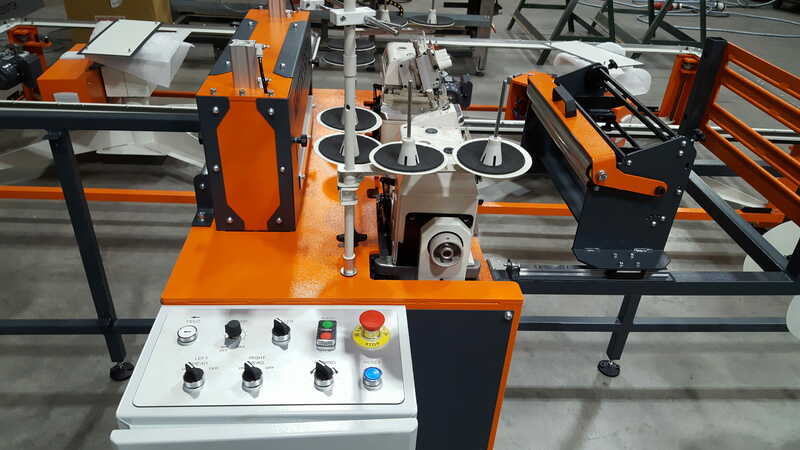 LH and RH overlocking sewing heads. 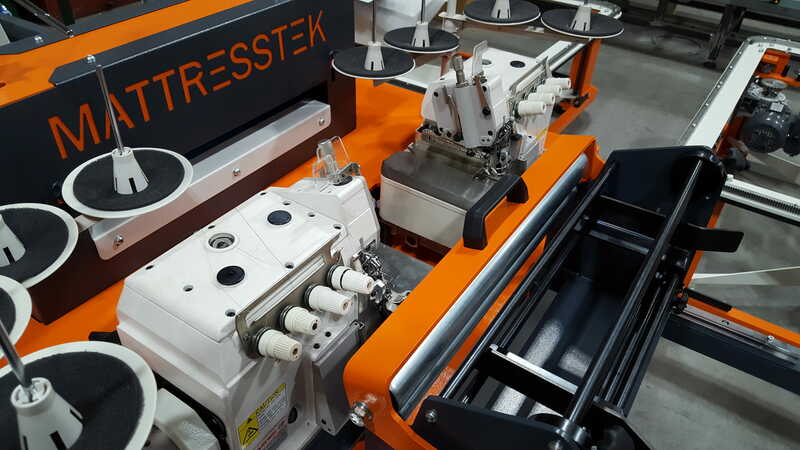 Large capacity infeed roll frame. 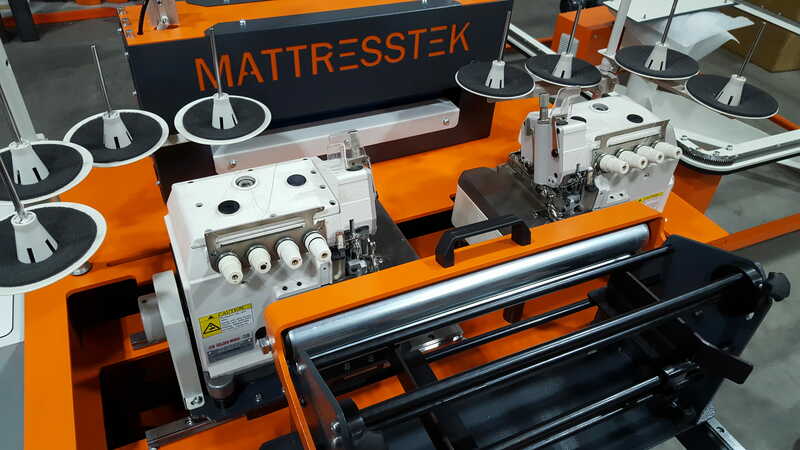 Material runout detection for all 3 fabric layers. 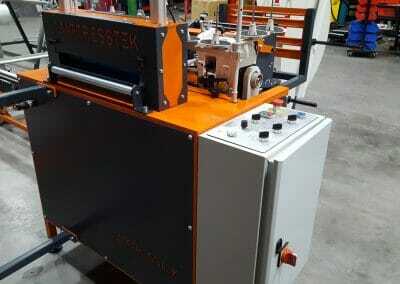 Simple waste material run off, with air blow assistance. 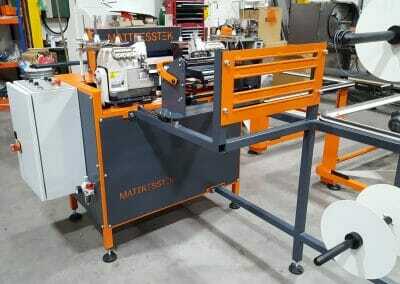 Capable of stitching heavy-duty material. 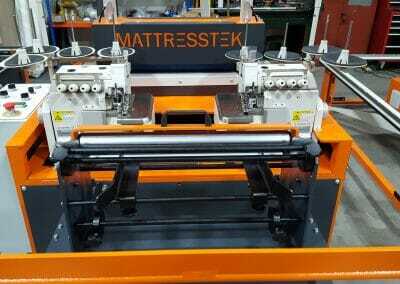 Independent sewing head on/off function for single or double side serging. 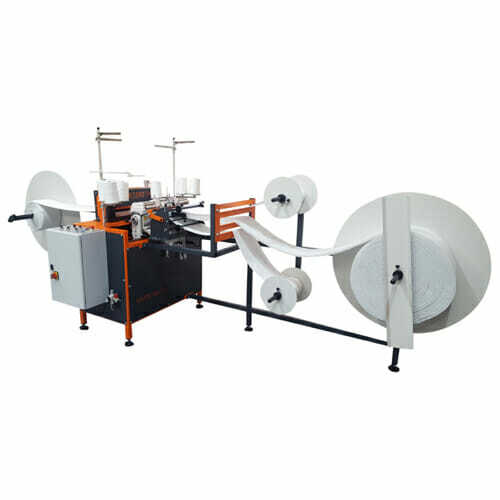 Unique inverter driven rewind system to create tighter rolls, meaning more material on each roll. 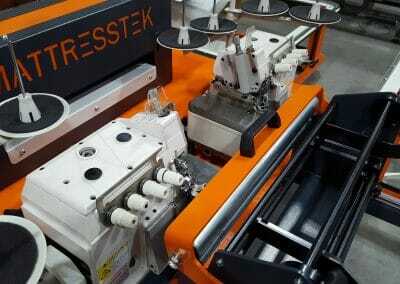 Power and reliable motor drive. 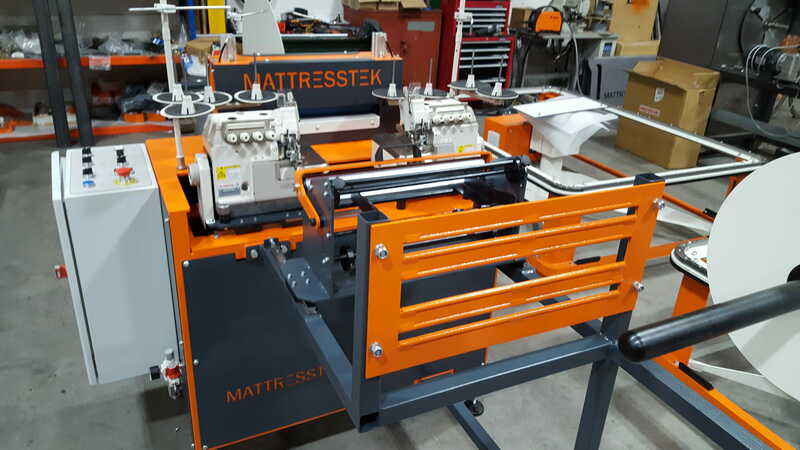 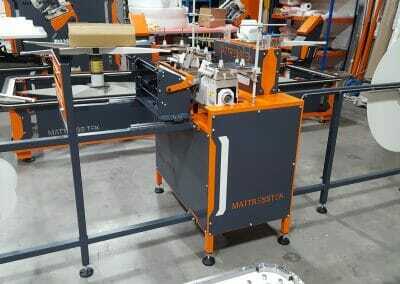 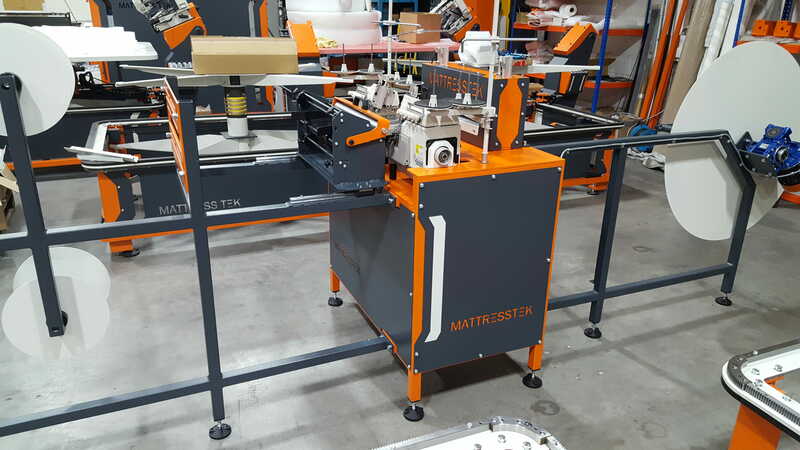 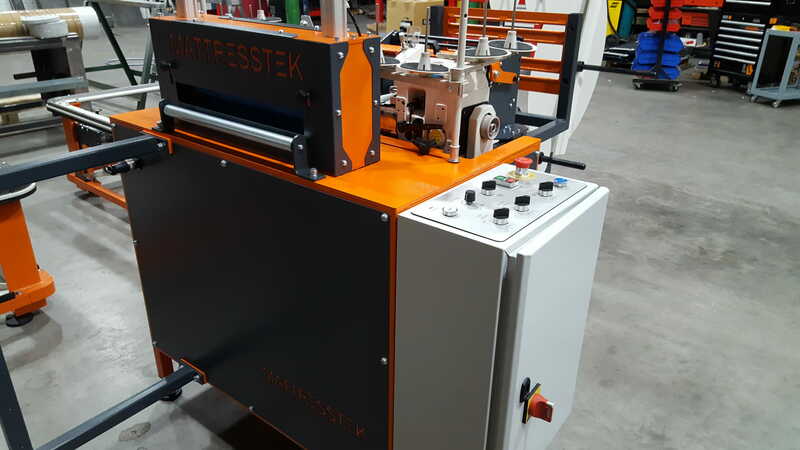 Call a member of our MattressTek team on 01282 479922 today to discuss your Mattress Machinery requirements.